I often got sick when I was little. I was not good at sports or any physical acitivities. I’ve been told that I have a weak body. I grew up believing that 99% true until today. After 5 weeks in this program, with a lot of hiking and walking, I started to question myself whether I was as weak as I believed. The first hike I did on this program was on Monsterrat and it was not the most enjoyable. 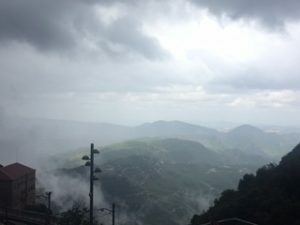 The weather was nice until it started pouring rain on the way to the top. With every step I took on the slippery stairs, I listened to my heart rate. It would not be good if my asthma got triggered, which I was worried. Luckily, everything was fine and the nature rewarded me with its beautiful views. My energy was still a full bar after hours of walking. I was acting as if I was going to see a new world once I stepped out of that circle. And Jorge did a good job of capturing that moment of me. 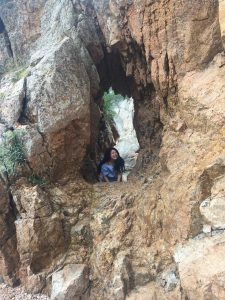 My second hike was along Costa Brava coast and it was so exciting to me. The blue sea was on the right while the wood was on the left. The views of Costa Brava seemed to suggest to me that I should go hiking in my home country, Vietnam. The weather on that day was perfect as well as my peers. Thanks to them, I was able to walk for hours and forgot about the time. 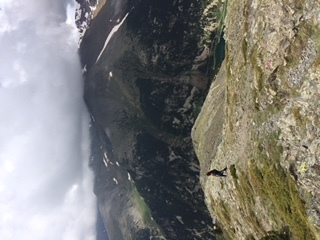 The third and the most memorable hike to me was getting to the peak of Pic de l’Àliga in Vall de Nuria. It was not a regular hike this time. The hike felt more like rock climbing. Why was that? This was because my peers and I missed the path we were supposed to take. We decided to make our own path. We climbed together. We enjoyed the view together. We took pictures together. 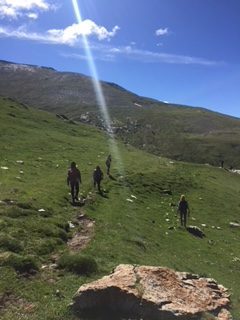 My peers, the 3 people on the left side, were focusing on finding the path to get the peak of Pic de l’Àliga while I was focusing on taking pictures of them from behind. I thought the way down would be more difficult but turnt out it was faster and way less tiring than climbing up. I never expected hiking could be this interesting and that I could have this so much fun. 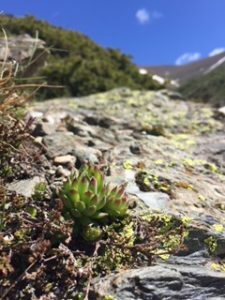 I also didn’t expect to fall in love with nature. I used to make fun of my friend for loving the sound of water. I guess now that friend of mine may be going to make fun of me for loving the sound of wind and small plants. 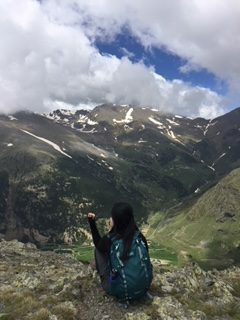 I enjoyed the breathtaking view of mountains. I also found great excitement in these little plants all around me. 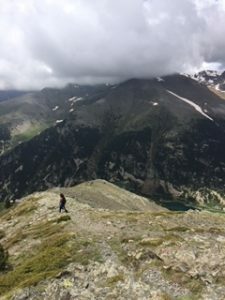 At first I didn’t understand why a lot of my friends loved hiking and enjoyed getting to the top until I was there. I felt that I earned it. It was my first step of building my new hobby.